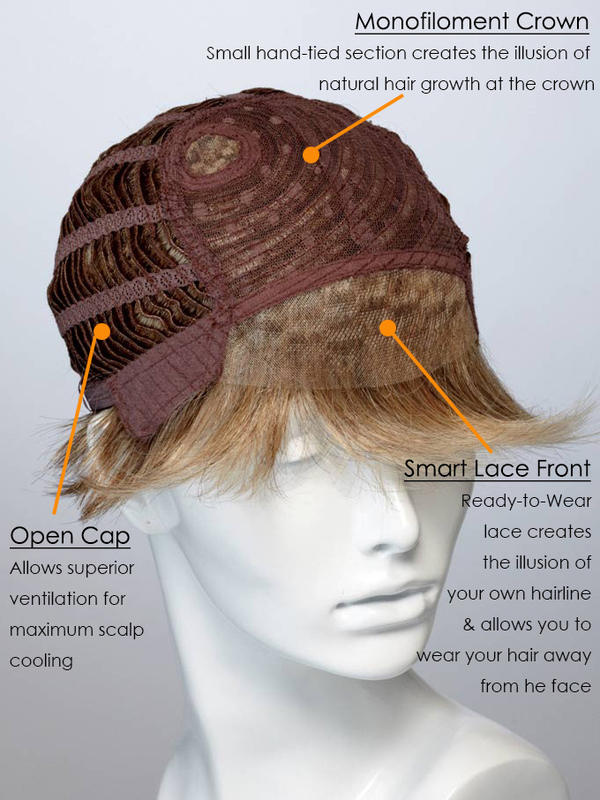 When you are choosing a wig it is important to fall in love with the style, but it also an important consideration to look at the inside of the cap. 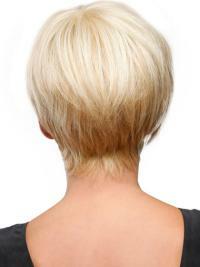 It has a MONOFILAMENT crown which will create the impression that the hair is coming from your own scalp. Comfortable, realistic and quite cool to wear. Here's the WOW factor! Here are OPEN WEFTS on incredibly slim strips of stretch material that actually mold to the shape of your head. Within an hour, this wig will memorise the contours of your head. Clever stuff! *Standard Order: It will take 15-17 working days to produce wigs or extensions. *Lace Front Wigs Order: It will take 18-22 working days to produce your wigs. *Monofilament Order: It will take 25-30 working days to produce your wigs. *Full Lace Wigs Order: It will take 22-25 working days to produce your wigs. *Hand-tied Wigs Order: It will take 22-25 working days to produce your wigs. PERFECTThis wig is perfect for me. The cap runs a little smaller (which is just right for me), the length is just like I wear my hair and it had a bit less hair so I didn't need to thin. Since I'm a new wig wearer (Alopecia) I prefer something that feels like ME! However, I get more brave everyday! This wig is fantasticThis wig is fantastic! I have four of this style. My latest one I purchased is colour 15 and it may be the best colour yet. The wig was delivered within a week. I'll be back for more. how much younger I lookedThe response to this wig was way, way above my expectation! Everyone was astonished at my new look and thought I had something done with my hair. My reason for getting the wig was that I find at age 63 the top of my head is really thinning out. I felt so self conscious because people kept staring at my head when they talk to me. EVERYONE remarked at how much younger I looked, and that put me at ease. I can't wait to order a few more in different colours. My hubby loves it too! © 2008- Howigsau.com. All Rights Reserved.